Great news from the BOOZE & GLORY camp! PIRATES PRESS RECORDS has the honor and privilege of announcing that you can ORDER THEIR FOURTH FULL LENGTH RECORD, appropriately titled CHAPTER IV, RIGHT NOW! The record was originally released back in 2017 by BURNING HEART RECORDS, but scarcely made it beyond the shores of Europe, so what better time than the leadup to the band’s TENTH ANNIVERSARY(!) in 2019 to give their legions of fans all over the world another crack at bringing home this modern classic? The past year has seen the band as energized as ever, dropping in on their fans, friends, and supporters in Japan, Indonesia, Australia and virtually every corner of Europe and North and South America. Next year, as they celebrate ten years as a band, they will be on the road non-stop worldwide! Thanks to the shared passion of the band and their fans, this is one unit that shows no signs of slowing down! As for the record, across the 11 tracks of CHAPTER IV, BOOZE & GLORY deliver the goods that their fans have come to expect: a heartfelt, rabble-rousing good time filled with football, fashion, beer, skinhead reggae, and some of the best and catchiest tunes going! It’s angry yet melodic, critical yet non-political. It’s music to unite people, and true to form, an amazing crop of singalong anthems – many of which have quickly become powerful and integral parts of their live performances! In short, it’s BOOZE & GLORY at the top of their game! As always, PIRATES PRESS RECORDS could not simply put out such a momentous record without making it a special package for all the fans. With a newly re-colored cover which opens up to an awesome gatefold jacket, some truly awesome colored vinyl options, a digipak CD, and a limited PICTURE DISC version (available exclusively through PIRATES PRESS RECORDS mailorder! ), fans and collectors will be able to get their hands on this record looking as great as it sounds, no matter what their preferred format! 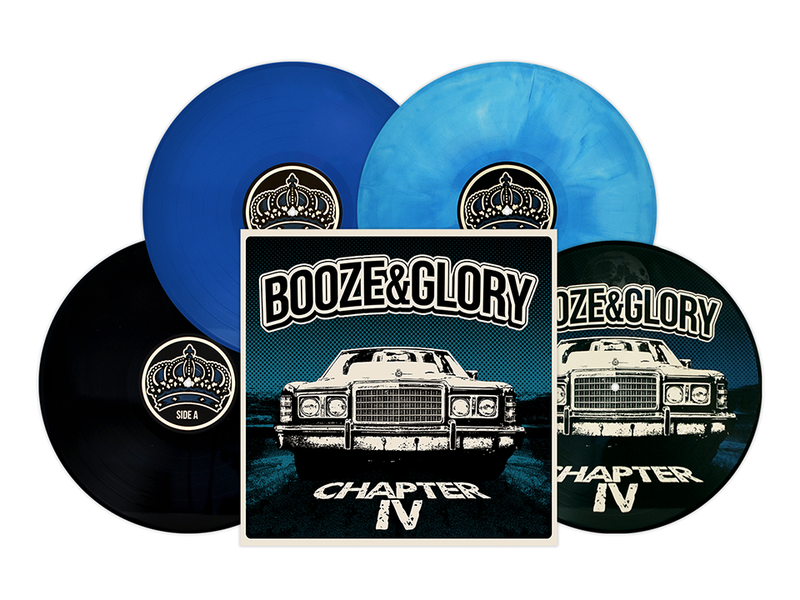 CLICK HERE TO ORDER BOOZE & GLORY – CHAPTER IV ON GATEFOLD LP, PICTURE DISC, OR CD!